We’re all afraid. We all lack confidence at times. I, for example, am ridiculously afraid of heights. I don’t know why, but I always have been. Get me a few inches off the ground, and I’m crying like a baby. Thankfully, I’ve not allowed other areas of fear to hold me back from bursting forth out of my comfort zone. Today, I want to share one area I didn’t allow fear to hold me back in and how it helped me build confidence. Most readers know that my wife and I run our own business. Nearly five years ago, I quit my day job to expand the business my wife had started a few years earlier. To say there was no fear involved would be a lie. I had three young children to provide for and feared it’d all blow up in my face. Regardless of the fact I had always wanted to work for myself, there was still a measurable amount of fear. Then, it happened. Roughly 18 months after taking the leap, I was staring at our bank account and realized something incredibly cool. Less than two years after leaving my day job I had made nearly twice as much as my highest paying job – over the course of one year. A few different thoughts and feelings went through me, but one stuck out. I was confident that we made the right decision. I knew that I was the only one holding myself back and that I was becoming more confident of what our little business could accomplish. Fast-forward another three years, and it’s been more of the same. No, it hasn’t been all puppies and rainbows, but I have a confidence now that we can handle whatever comes our way and that we can confidently grow a thriving business. There’s one key point in my story that sticks out to me. I thought I didn’t have the skills needed to run a business and that I couldn’t be successful. For years, I lacked self-confidence in this particular area, and it held my family and I back. Financial confidence works the same way. We think that we can’t be good with money; that it’s “normal” to have debt or that we can’t invest in the stock market for one reason or another. In many cases related to money it simply requires a step in the right direction. When you string a few steps together, it builds confidence that you can master your money, move towards becoming financially stable and grow your wealth. This is the idea behind the onUp movement at SunTrust. 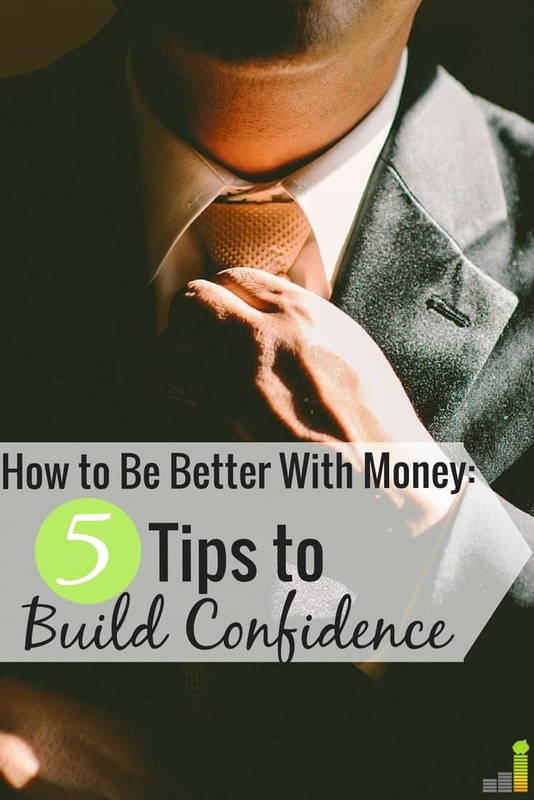 It focuses on providing the tools needed to build that financial confidence so you can handle anything that comes your way. If you’re struggling financially, I know it can seem impossible to become confident with your finances. I was there once myself, and like with starting my business, taking one step is what helped build the confidence I needed to master my money. Focus on what you can control – It’s easy to let things you can’t control hold you back. That’ll get you nowhere, so focus on what you can control – such as how much you can pay towards your debt this month and move forward. Find one thing – This is especially important if you have multiple areas you want or need to focus on financially. Pick one thing and take steps to get it under control. This builds confidence so you can tackle other issues in the near future. Break it up – If you have a larger item to tackle, break it up into smaller chunks. This reduces the overwhelming feeling and reaching each step helps you build confidence. Make it known – I’ve found that sharing what you’re going through or trying to accomplish increases the likelihood of success. Pick a person and tell them what you’re doing. They can encourage you, keep you accountable and possibly give ideas of what you can do to hit your goal and build confidence. Rinse and repeat – Similar to finding one thing, you go through the same process with other areas of your financial life, and you’ll be surprised at how confident you become with your money. You’ll obviously need to customize these to your specific situation, but they’re the steps I took to become financially confident and I know many others followed a similar path to mastering their money. I know money can be overwhelming to many. In most cases, that simply doesn’t need to be the case. You don’t need to be an expert to know how to manage your money; you just need to be willing to take a step – the rest will work itself out. 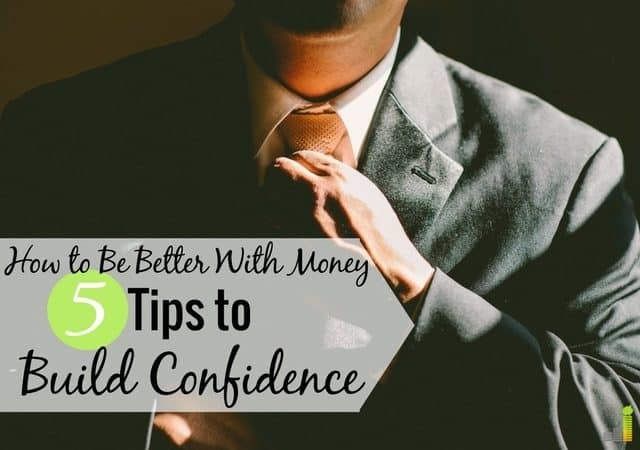 What’s one area you lack financial confidence? If you’re financially confident now, what step(s) did you take to master your money? What does financial confidence look like to you?